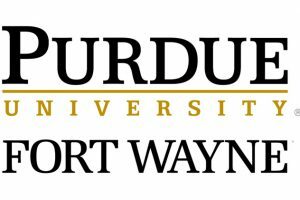 New Chancellor, New Vision, New Plan and Extraordinary Results at a Public University – Dwyer Education Strategies, Inc. The previous Chancellor had announced her retirement. The chief academic officer, Dr. Carl Drummond, was tapped to oversee enrollment at the University. Major academic program structural changes were being made. The name, logo and colors were all in a process of change. A redesign of the website was underway. The previous Chancellor, Dr. Vicky Carwein, contacted me to conduct an enrollment audit to identify admission and financial aid areas in need of improvement after years of enrollment declines. We agreed on an outline of a new plan. The enrollment transformation began prior to the arrival of the new Chancellor. Dr. Drummond, the Vice Chancellor for Academic Affairs and Enrollment Management, appointed a new enrollment implementation team that included, among others, Dr. Krissy Creagor, Associate Vice Chancellor for Enrollment Management and Ken Christmon, Associate Vice Chancellor for Admissions. We worked together to complete the design of and introduce a new recruitment model. In addition, we retired all of the old institutional financial aid programs and consolidated them into more targeted scholarships and grants specifically focused on rewarding academic talent and making the University more affordable for all students. In the midst of all the change, Dr. Ronald L. Elsenbaumer was appointed the new Chancellor after serving in several leadership positions, including provost, at University of Texas at Arlington. He In the midst of all the change, Dr. Ronald L. Elsenbaumer was appointed the new Chancellor after serving in several leadership positions, including provost, at University of Texas at Arlington. He provided the vision, leadership, direction and resources for transformational enrollment change. The University designed and introduced new scholarships for incoming freshmen. Personal and systematic communication mechanisms were created to effectively educate and communicate with both inquiries and applicants for admission. A new scholarship program for transfer students was created. It was designed in a manner to demonstrate the affordability of the university. The University modified its policy for students eligible for readmission and proactively reached out to these students. It was important to attempt to bring previously enrolled students back to complete their degrees. The graduate student admission process was transformed with the introduction of a coordinated marketing plan, a targeted focus on the enrollment management funnel and ongoing communication with admission applicants along with accelerated admission decisions. Most importantly, the improved outcomes were a product of the hard work of everyone involved in the admission and financial aid process. The number of undergraduate new students increased by more than 17% compared to last year. The University increased the number of international students by 15%. The University expanded its geographic reach. Enrolled students hail from 32 states and 49 countries. grew by 19% compared to last year. Overall, university-wide headcount is up by 18% compared to last year. Last year, the occupancy rate in the campus residence halls was a respectable 70%. Beds in the residence halls are overfilled this year with an occupancy rate of 105%. The number of students living on campus is the most in the history of the University. The University held it largest new student orientation in history with more than 1,900 students in attendance. After years of declining enrollments, budget cuts and retrenchment, the University is now repositioned for the future. 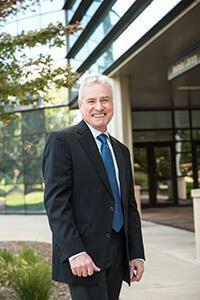 The new Chancellor is poised to realize his vision for growth and academic excellence.